15 Folk Song Arrangements, Vol. 2, "France" (version for voice and orchestra): Eho! Eho! Folk Song Arrangements, Vol. 1 "British Isles"
21 Folk Song Arrangements, Vol. 1 "British Isles": O can ye sew cushions? Folk Song Arrangements, Vol. 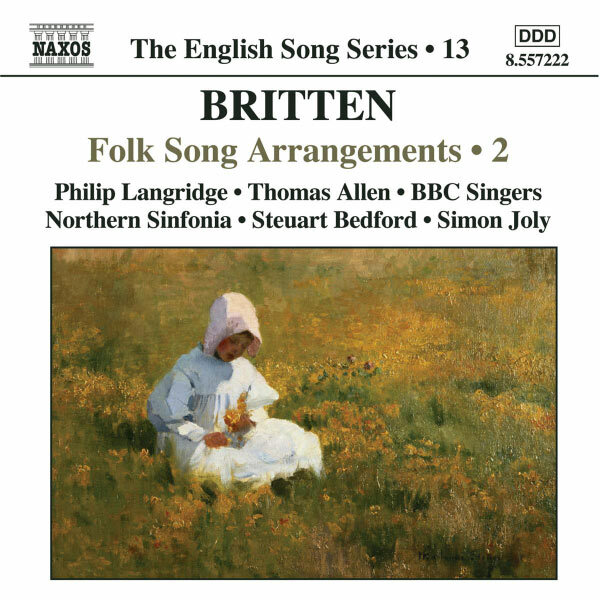 3, "British Isles"
25 Folk Song Arrangements, Vol. 3, "British Isles": Come you not from Newcastle?